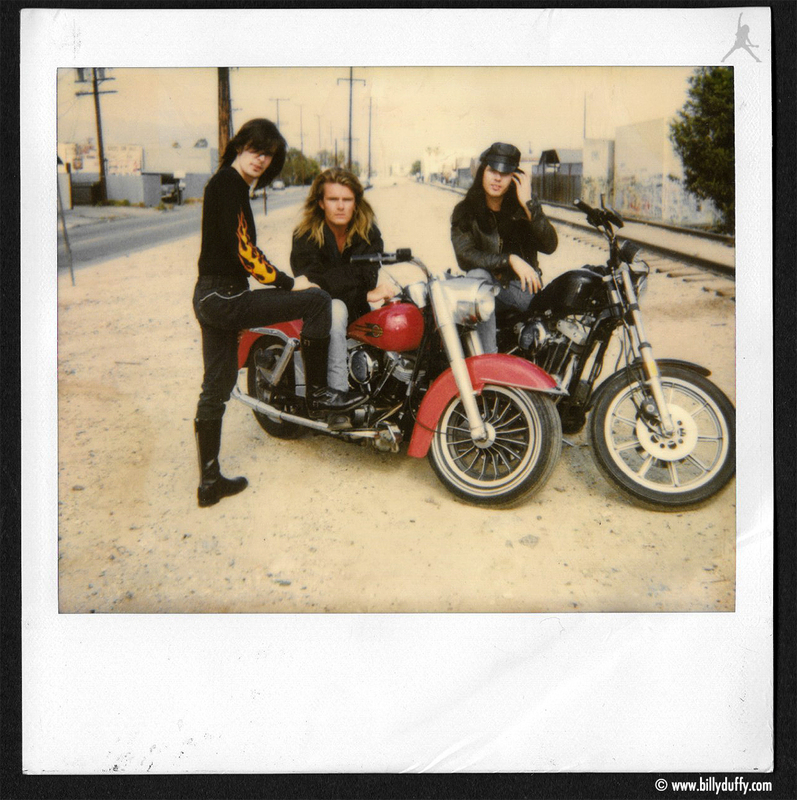 "This polaroid of me, Ian and Jamie was taken just across the road from Mates Rehearsal Studios, in North Hollywood. It features my Red Harley (pre customisation) and a Harley sportster borrowed from Jonesys' then girlfriend... all for effect! It was just one of a million photo shoots in that era and at a similar time to the press photos for 'Sonic Temple' (in the desert with vintage cars) and before Matt Sorum joined the band... so early 1989."